Home › Zodaca [Set Of 2Pcs] 2-In-1 Salad Servers Spoons Forks Can Combine As Kitchen..
Zodaca [Set Of 2Pcs] 2-In-1 Salad Servers Spoons Forks Can Combine As Kitchen..
Use as fork and spoon: A multi-purpose tool which is your must have item for serving food. It can be used as fork and spoon when separated. Use as Tong: When clipped together, it becomes salad servers allowing for one-hand use. Perfect and functional tool for tossing and serving salad. Premium quality: Made from thick, durable and food-safe ABS plastic for regular, every day use and Dishwasher safe. Color: White/Hot Pink. Material: ABS Plastic. Size: 31 X 7 X 3 cm/12.2 X 2.76 X 1.2 inches. 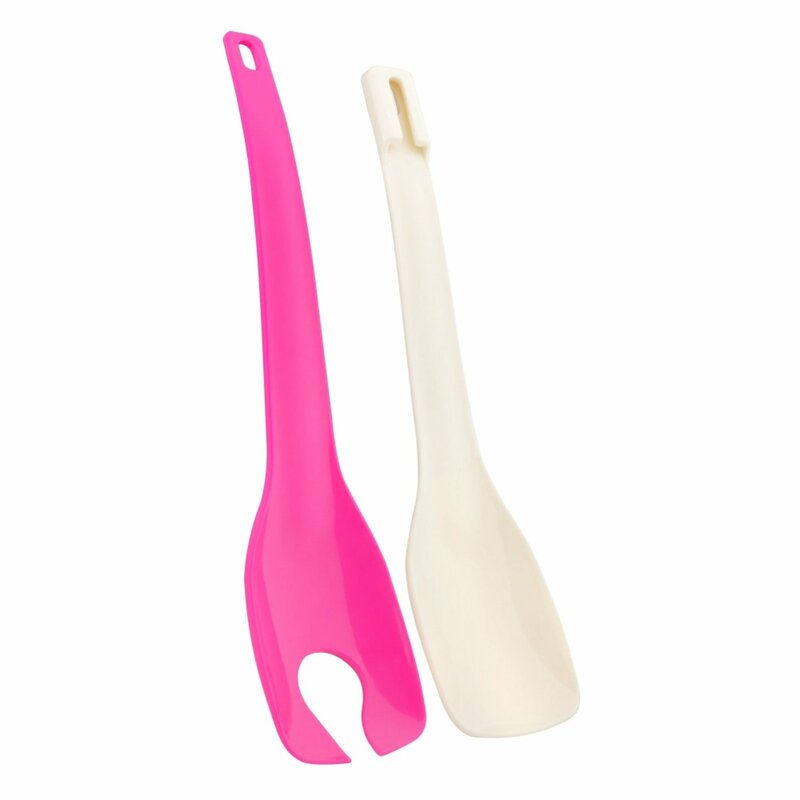 Use as fork and spoon: A multi-purpose tool which is your must have item forserving food. It can be used as fork and spoon when separated. Use as Tong:When clipped together, it becomes salad servers allowing for one-hand use.Perfect and functional tool for tossing and serving salad. Premium quality:Made from thick, durable and food-safe ABS plastic for regular, every day useand Dishwasher safe. Color: White/Hot Pink. Material: ABS Plastic. Size: 31 X7 X 3 cm/12.2 X 2.76 X 1.2 inches. Zodaca is a registered trademark. Onlyauthorized seller of Zodaca can sell under Zodaca listings. All rightsreserved. All trade names are registered trademarks of respectivemanufacturers listed.